Preheat oven to 350°F. Line baking sheet with lightly floured parchment paper to prevent dough from sticking. Gather the rest of your ingredients. Remove dough from container and cut in half. 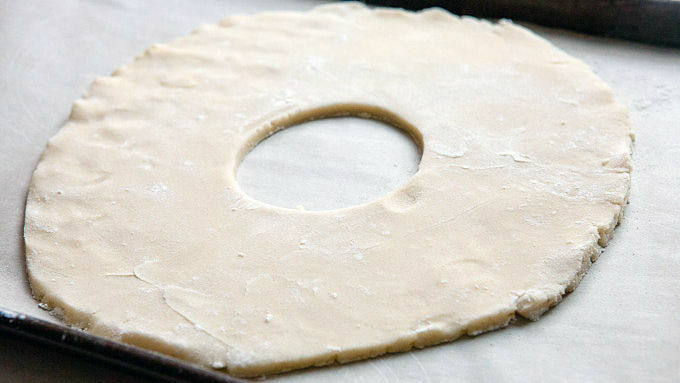 Shape each half into a round wreath shape (about 8-10 inches across) on the parchment-lined baking sheet. 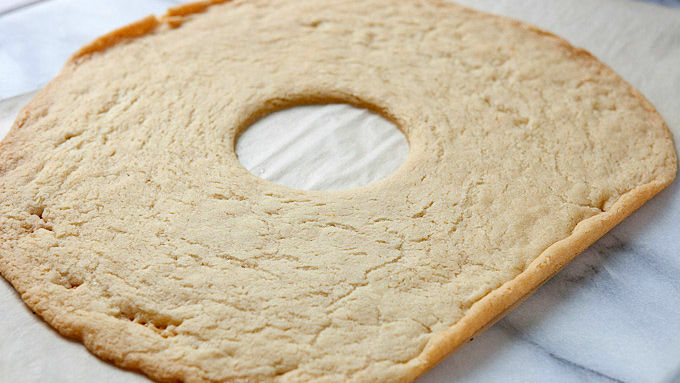 Use a large cookie cutter to cut a hole in the center of each cookie wreath. Bake cookie wreaths for 12-14 minutes until they are slightly golden around the edges. The wreaths might puff up a bit and lose their shape, but you can reshape them after they are out of the oven (if you want to). Let them cool completely. Combine dark chocolate chips and cream in a bowl and microwave in 15-second bursts until chocolate is melted. 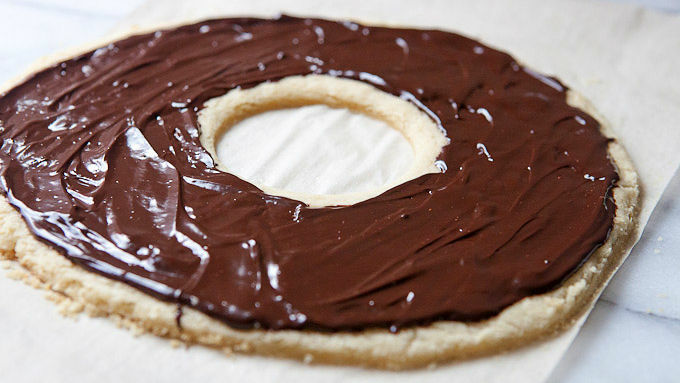 Stir together until silky smooth and spread over the top of each cookie wreath. In a small food processor, pulse a cup of fresh raspberries until they are pureed. 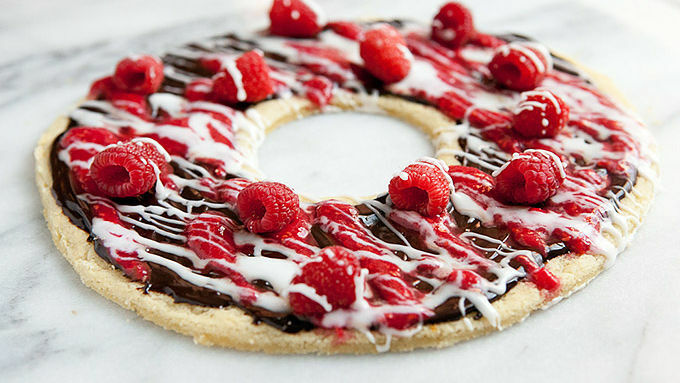 Drizzle the raspberry puree over the cooled wreaths. Dot each wreath with a few fresh raspberries as well. In a separate bowl, mix together powdered sugar and milk. Drizzle the glaze over the wreaths also. Optionally, top each wreath with Cinnamon Toast Crunch™ cereal for a little extra texture. Slice and serve! You can use any kind of cereal or even nuts as a topping. Get creative! Pretty and easy all at once, this is a dessert to please party guests. If there’s a more decadent, but secretly easy, dessert flavor profile than raspberries and dark chocolate, I sure don’t know it. 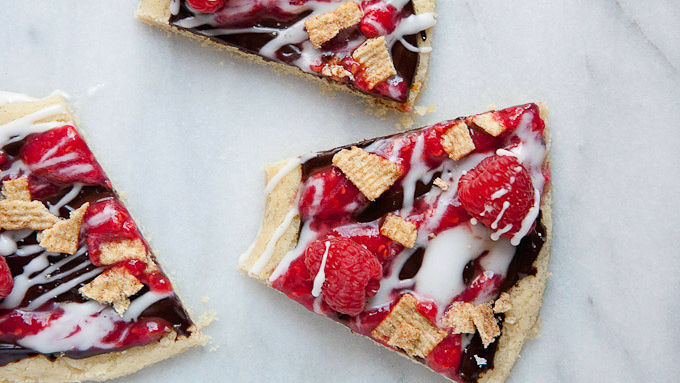 Slightly tart and sweet berries coupled with chocolate are a true favorite. Sure, you could just stir them together in a bowl and eat them, but this fun and festive wreath is a much better way to deliver decadence! 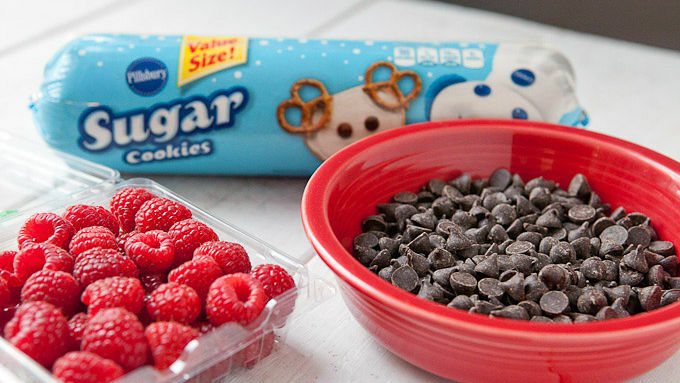 This is a fun dessert that is actually pretty easy to toss together. Try it out for the holidays or Valentine's Day!